There's an increase in the illegal use of black magic in Brimstone resulting in the crime rate escalating. Taking her gran's advice, Cassia takes up residence in town so she can observe anyone who's acting out of character. 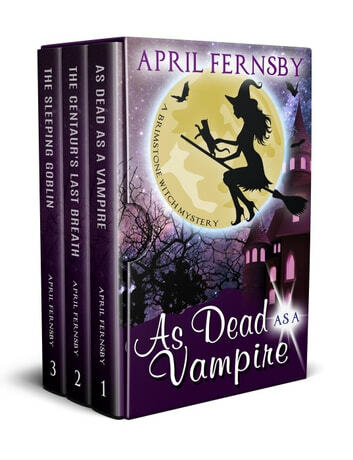 It's not long before Cassia comes across the murdered body of a vampire. Cassia discovers he was a particularly nasty vampire who had countless enemies – and there are many residents who are happy to see him dead. But which one of his enemies actually killed him? A centaur has died while out on a run in Brimstone. His death is confirmed as heart failure by a doctor. But the centaur's father is adamant that his son was murdered and asks for Cassia's help. Cassia starts to investigate the centaur's death and is soon convinced it was murder. Furthermore, she discovers the centaur had made many enemies in the lead-up to his death. A goblin has been murdered at The Brimstone Hotel. Cassia and Stanley investigate and discover his death could be linked to his unusual job. They soon have a list of suspects who had a grudge against the goblin, including his family. Things don't run smoothly and their investigation is sabotaged by someone who wants to get rid of Cassia and Stanley - and will stop at nothing until they achieve that. 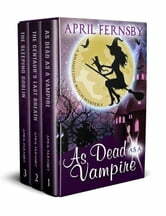 A wonderful story, filled with all the paranormal characters you could want. I love Stanley! A great read. You won't be disappointed. Decent story line. Plenty of room for a continuation of this story. More background info on the characters would be nice. Is the ending that way so we'll read part 2, part 3 etc. ?